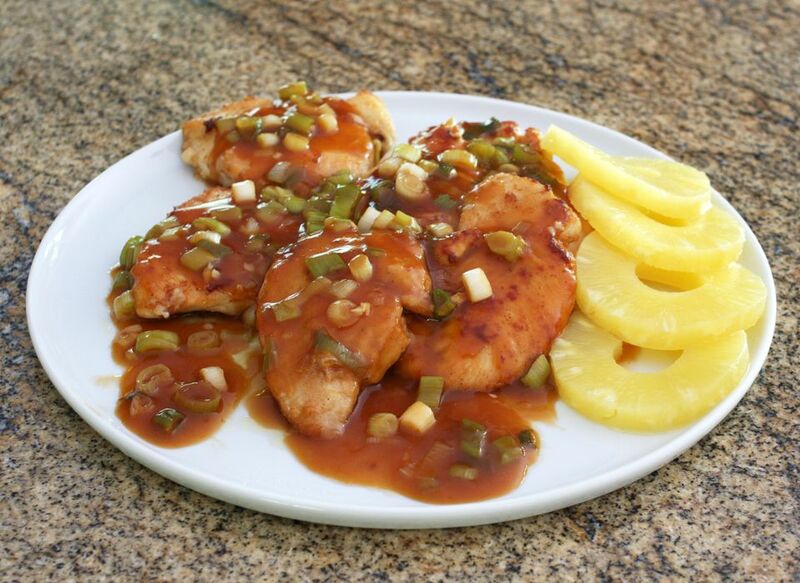 A flavorful sauce highlights this easy, great tasting chicken dish. You can prepare this recipe in minutes in the skillet, and you probably have most of the ingredients on hand. Serve this sweet and sour chicken with hot cooked rice or your favorite Asian-style noodle dish. Cut each chicken breast into 2 pieces. Put each chicken piece between sheets of plastic wrap and pound to thin to about 1/4-inch thickness. Alternatively, carefully slice each chicken breast in half horizontally, making thin cutlets. In a plate or bowl, combine the flour, ginger, salt, pepper, and garlic powder. Dredge chicken pieces in the flour mixture. Heat the butter and olive oil in a large skillet or sauté pan. Brown the chicken for about 4 minutes on each side, until browned and cooked through. Remove to a warm serving platter and keep warm. While the chicken is cooking, combine the orange juice, chicken broth, rice vinegar, brown sugar, soy sauce, ketchup, and sherry or wine, if using. Combine the cornstarch with the 1 tablespoon of water and add to the mixture. Blend well and set aside. Add the green onions and garlic to the skillet and cook, stirring, for about 1 to 2 minutes. Add the sauce mixture and continue cooking, stirring, until thickened. Simmer for 1 minute. Spoon the sauce over the chicken pieces and serve with hot cooked rice or noodles.